This is a luminous artificial shrimp mimics a live shrimp perfectly but is designed to be even more effective at showing off your fishing techniques and catch a truck load of fish with the soft lures shrimp bait set. This is an open and use fishing hook. 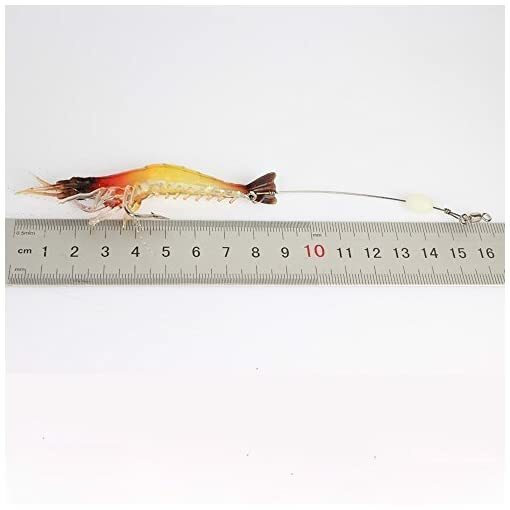 It doesn’t matter if you’re professional or just a beginner fishing enthusiast who wants to catch big fish and enjoy it with family and friends, you can use this fish hook to show off your fishing style and technique to everyone and get that jealous look in one instant. The soft lures shrimp bait set features a sharp hook making it very powerful at catching fish and hook up ratio. 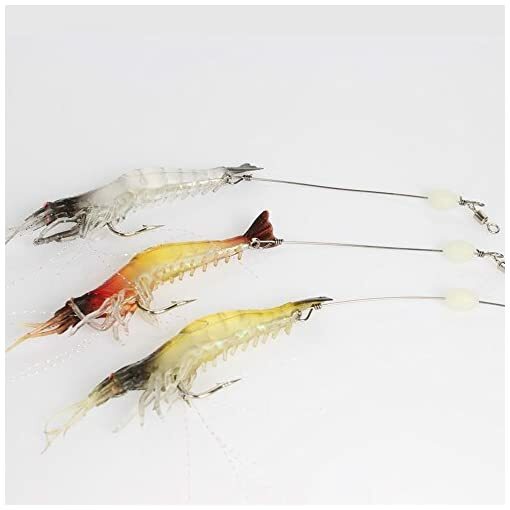 The soft fishing bait is propelling itself forward, just like a live shrimp. 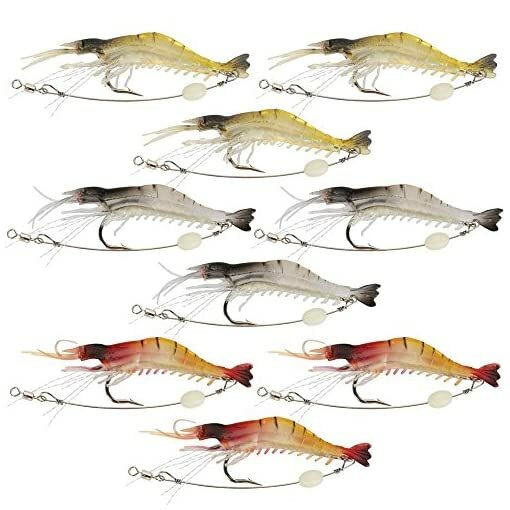 What’s more, this slow-sinking soft bait is ideal for most saltwater fishes. 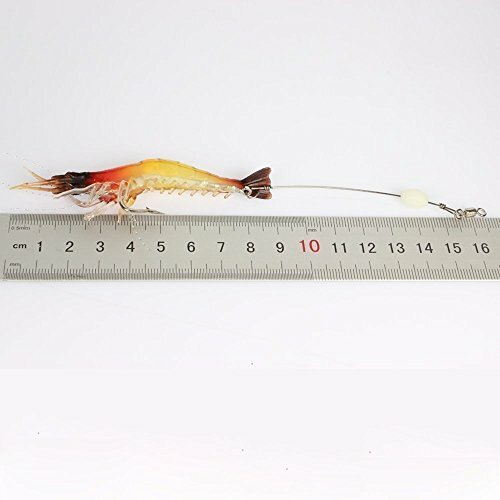 We’ve crafted this lure very carefully so that can you can use it with any fishing rod that you have in stock. 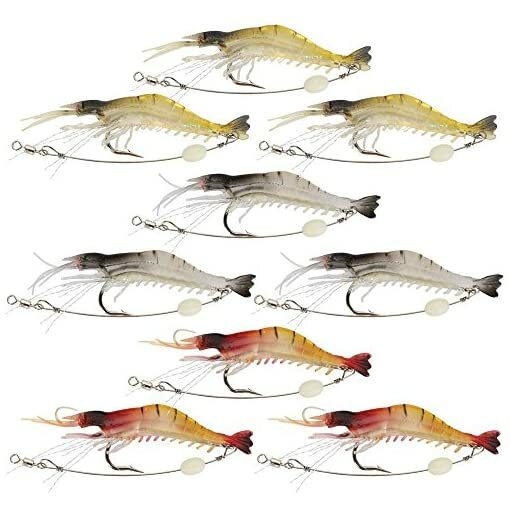 The lure is carefully designed and can catch fish in an instant with the right technique. 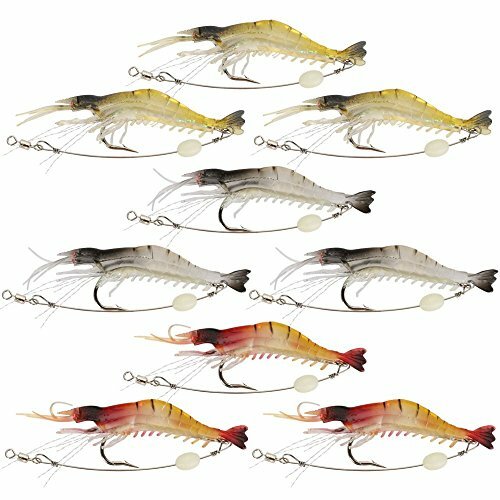 When you need a shrimp lure that’s easy to use and even easier to keep with you at all times, then look no further than the soft lures shrimp bait set. Unique features of our soft lures shrimp bait set: Smooth and rapid diving action bright colors to attract big fish. 3d eyes create life-like smooth and rapid diving action. They create life-like swimming actions in water. 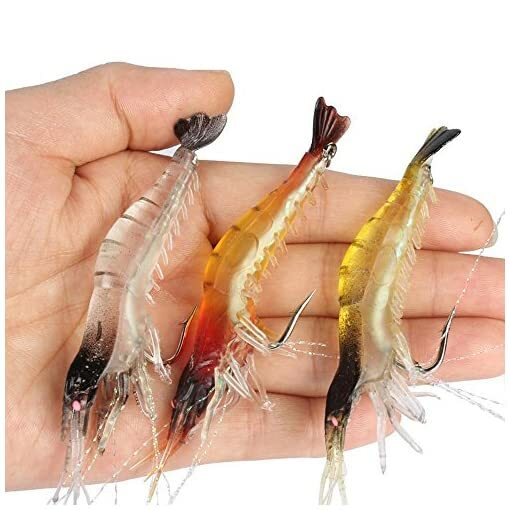 Popular bait for freshwater fish and bass realistic shrimp like detailed texture appropriate for all fishing rods premium quality fishing lure soft, flexible and easy to carry weight of about 6 grams standard size of 8cm easy to use.